Sveta and I went to a huge Mega Mall here in Moscow and we crossed over a gigantic walkway that led us to a new section of this mall. As we entered the new mall area our eyes were greeted with a wonderful sight. 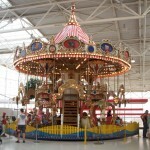 From Russia: The Ultimate Toy Store- With Carousel! 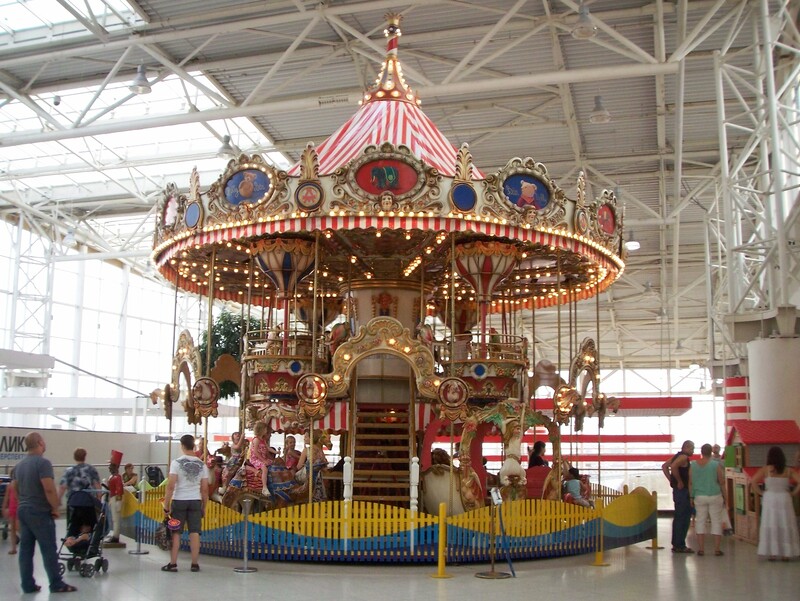 The link above will take you to a story about the demise of the toy store that housed this carousel. Sveta and I were very unhappy about this issue and wondered what happened to the carousel. This entry was posted in Soul of Russia and tagged Attractions, Carousel, Moscow, Recreation, Russia, Theme Parks, Travel and Tourism, Travel Guides on August 9, 2010 by admin.